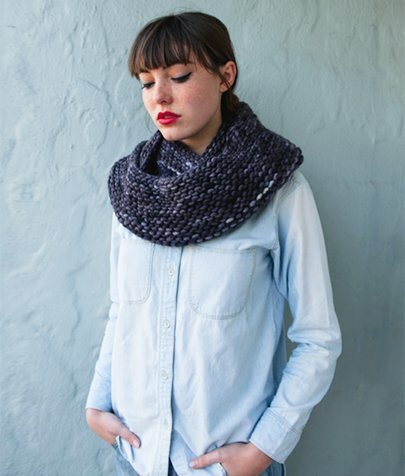 The Cushy Cowl is the perfect pattern to get you knitting beyond a regular scarf. 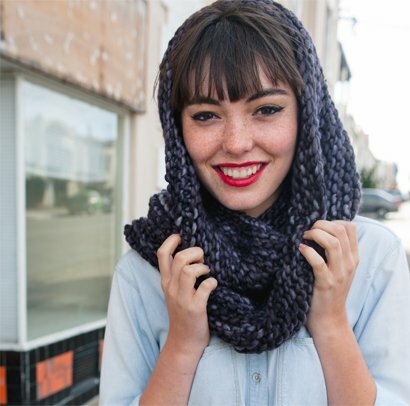 You’ll learn how to knit in the round, cast on with the longtail, and knit garter stitch in the round. 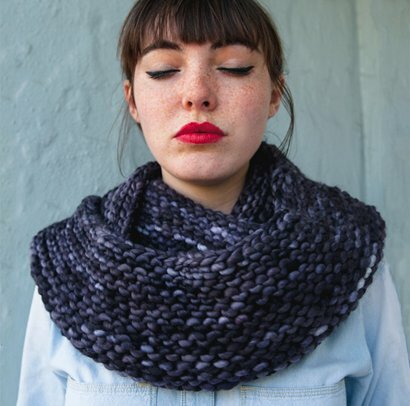 Best of all, the Cushy Cowl is knit up in super bulky yarn, which means you’ll be done your cowl in two shakes of a lamb’s tail! In other words, it’s a super quick knit! 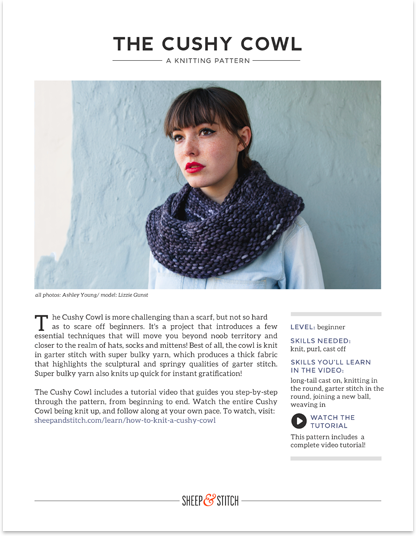 To watch the tutorial video on how to knit the Cushy Cowl, head to the project page. This pattern is a PDF file that will open in your browser upon download. For best viewing, save and open the file in Adobe Reader or Preview.